Who knew that language mattered when negotiating a hotel room price? When quoted a rate for a hotel room, ask if that is the lowest rate for that time frame. Language matters. According to three hotel reservation clerks I interviewed, reservation desks are only required to give you the lowest hotel room rate when you specifically ask for it. So, if you say, “Are there any better deals?” or “What else do you have for that day?” or “Are there any specific promotions running?” the clerk can (and will) check, but he or she is not required to look for or find the lowest rate. When you specifically ASK for the lowest rate, reservation desks are required to search for it and disclose the lowest rate for the specified dates. Simply saying, “Is that your lowest possible rate for those days?” can save you dollars. About 60% of the time, I can get a better price when I ask this question. Recently, I checked Hipmunk and identified the best rate for rooms in Charleston in April. When I called the hotel and booked a block of rooms, they quoted me the same price that was listed on Hipmunk which was 10% less than the listed rate for rooms on the hotel’s website. I also received an additional 10% group rate discount. After I secured the reservation block with my credit card I asked, “Is that the lowest possible rate you have for rooms that timeframe?” The clerk spent about 10 minutes checking and then came up with a lower price for half the block, and a discounted price for the other half based on two different promotions that the hotel was running. These discounts saved us an additional 7%. The same thing happened when I booked a block of rooms at the Atlantic Hotel in Berlin, MD for the April Travel Hag Adventure. I was quoted the listed rate for the rooms with a 10% group discount. But after asking if that the lowest possible price for all those rooms the clerk checked and found that one of the deluxe rooms was available at a 20% discount because of a weekend promotion. 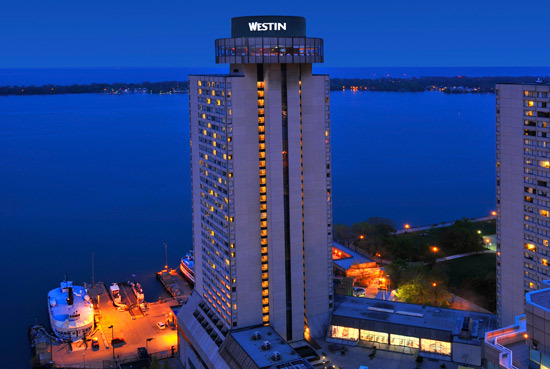 Today, I booked my room at the Westin Harbor Castle in Toronto for TBEX 2013 (Travel Blog Exchange Conference) The rate listed on the Westin website for rooms during the conference start at $200 per night. The TBEX Conference rate for these nights is $169 (a 16% savings). After I booked my room for three nights at the Conference Rate I asked the question ….. “Is this the lowest possible rate?” The clerk took a minute to check and then asked me what year I was born. I replied, “59.” She said there was a “Birth Year” promotion running which offered a $209 charge for the first night and each night after is the year you were born – per night, in my case $59. The cost for 3 nights at the Westin Harbor Castle in June? Listed Rate on website is $600 and higher. That’s 46% off the listed rate and 36% off the Conference rate. Ask for the LOWEST rate. It’s times like these I wish I was 75 (birth year 38).